The fundamental philosophy behind investing is simple - leave with more money than when you arrived. For many investors, the concept of long-term strategy that commits retirement funds, savings, or investable cash for decades on end is quite comforting. After all, long-term investing is generally safer than short-term, since you have the ability to ride out troughs in the market and enjoy a heightened sense of "this too shall pass." Many investors today, however, are unable or unwilling to commit sums of money to a long-term investment, as future plans may necessitate access to the cash for a variety of reasons. For the sake of clarity, a short-term investment here will be considered as one that lasts for less than five years, though some of our short-term investment ideas clock a total duration of less than 30 minutes. Keep in mind that a short-term investment doesn't have to feel different to a long-term option - it simply maximises different financial vehicles to net percentage gains. The following are five advantageous short-term investment ideas that you can use today, and each one offers a particular balance of risk versus reward, as well as varying levels of involvement on the part of the investor. Certificates of Deposit (CDs) - Yes, we can hear the collective snore coming from our base, but don't let these vintage investment options fool you. Even though CDs are often marketed directly to those who need more than two hands to count their grandchildren, there is nothing wrong with an investment opportunity that offers a predictable rate of return, a medium-length term, and basically no risk as long as the CD is valued at $250,000 or lower. CDs are generally protected by FDIC coverage, so your money is safe. Keep in mind, though, that CDs that are liquidated prior to the maturity date can invoke significant penalties that may negate any interest gains made over the term. Online Savings Accounts - Banks today don't pay much when it comes to interest on a checking or savings account, but that is often a positive indicator of a thriving market. After all, if banks can borrow money from the Fed at a super-low rate, why should they offer 5%, 6%, or more to prospective depositors? Just seven years ago some banks were offering 5% on a savings account - all to raise money to help what was then a collapsing consumer lending market. Today, you can place your money into an online savings account and you'll net small, though incredibly safe, returns. FDIC coverage is a given, and you'll maintain excellent liquidity afforded by the transactional nature of the account. In fact, most bank savings accounts permit up to six monthly transactions before Regulation D charges come into play. Short-Term Bonds: These financial instruments are generally managed by a professional bond manager, and they offer fairly consistent and predictable returns even for a novice investor. Bonds are highly tied to market conditions, so it is common to see varying rates of returns on a monthly basis. Short-term bonds generally reach maturity within two years - perfect for the average investor who isn't looking to tie up cash reserves for decades on end. Municipal Bonds: Though somewhat riskier than other treasury investment, municipals generally deliver moderate returns in exchange for minimal risk. After all, few municipalities will default - and if you can hold onto your municipal bonds until maturity you'll net 100% of your original investment plus any accrued interest. Using a brokerage firm enables you to access municipal bonds that are closer to maturity to further minimise risk. Forex Trading: Stockbrokers refer to short-term trading as "day trading," while in the Forex realm it is referred to as scalping. Forex scalpers will assume more risk than someone investing in municipal bonds or parking their money in a CD, but with a measure of control and an understanding of the fundamentals of scalping the market, consistent gains can be made. 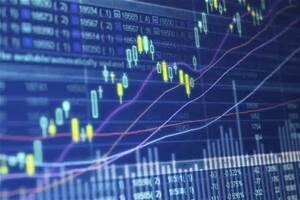 Using the appropriate Forex software is a major factor in managing this short-term investment, and reputable online brokerage firms will permit you to test their software out prior to committing to the platform. Short-term investing can be lucrative and rewarding. From the safety blanket-like nature of the modern CD to the vibrant, engaging Forex market, there is no shortage of short to medium-term investment opportunities available today. If you are looking for the best short-term investment opportunity for your specific needs, contact a broker today or consider other options that can empower you to self-direct your investments to recognise serious growth.